Your Next Stamp DT Dare-Layer It Up! Hello! I played along with the YNS DT Dare today and we were challenged to make a card with layers! 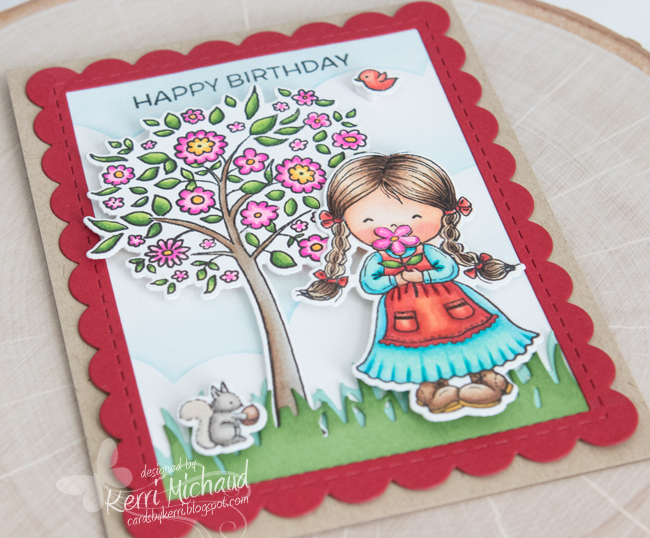 What better way to add layers than to create a little scene:) The new Woodland Jessica Stamp and Die Set were just perfect for this. I colored all my images with Copic Markers and then cut them out with the coordinating dies. To create my background, I sponged some clouds using Tumbled Glass Distress Ink and added the grass cut with the YNS Stitched Grass Die. I think it turned out super cute! Head over to the YNS Blog to see all of the DT projects and leave a comment for your chance to win a stamp set of your choice!!! All comments must be left by February 16th at midnight EST and the winner will be announced on February 18th! This is such a cute scene. 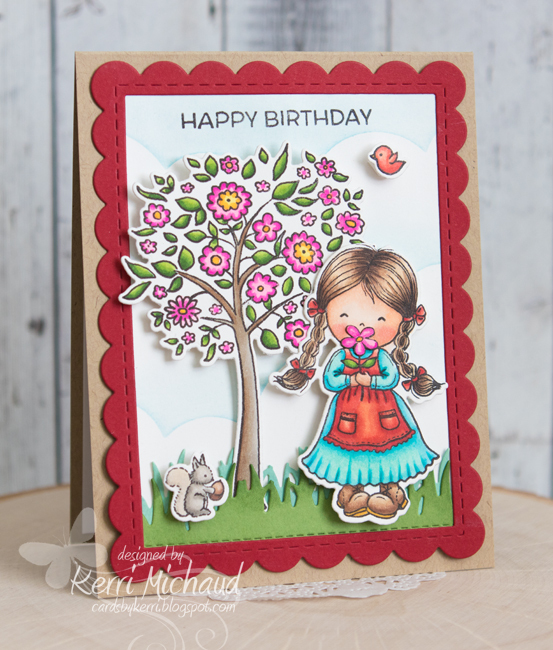 Love your colouring of the tree and the girl.